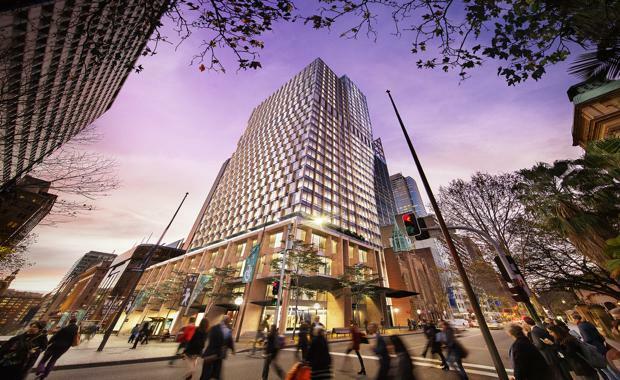 Investa and Gwynvill Group have appointed Lendlease Building as the head contractor to construct its $300 million flagship development, 60 Martin Place. Investa's Head of Commercial Development Mark Tait confirmed the announcement. “We are delighted to partner with Lendlease Building in this significant Sydney project. Lendlease brings outstanding construction capability and extensive, relevant experience in high quality commercial office developments, which will underpin the quality of the 60 Martin Place offering,” he said. Located on the corners of Macquarie Street, Martin Place and Phillip Street, opposite the Reserve Bank and State Parliament, the striking new building will incorporate over 40,000 square metres of lettable area across 33 levels. Floor plates are flexible and large, ranging from 1,200 – 1,500 square metres with panoramic views of the Opera House, Botanical Gardens and Sydney harbour. Following requests for expressions of interest for the project’s design and construction, Investa received nine submissions, of which four contractors were shortlisted. A rigorous tender process then commenced in September 2015. Lendlease Building track record and capacity to manage a project of this complexity and scale.